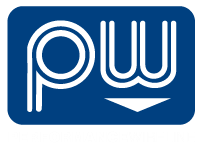 At Performance Wireline, we provide experienced down-hole data recovery and slickline services to oil and gas companies in Red Deer, Drayton Valley, Rocky Mountain House and all over Alberta. To best serve you, we offer our services around the clock – 24/7. When your company relies on our dependable slickline specialists, you can be sure you are receiving the utmost in accuracy, affordability, professionalism and most of all – quality. Not to mention, we are committed to using the certified and well-kept equipment and machinery, which you can see in our photo gallery. Call us today for all your oil and gas services in Calgary and surrounding area.